I have been purchasing way too many shoes lately. Things are getting out of hand... but at the same time, I don't really have a problem justifying new shoe purchases at the beginning of the summer. I always wear down my shoes so much that new pairs are a bit necessary when the new season comes along. My favorite summer shoes? Oh, I'm so glad you're curious. It just so happens that I am sharing my favorites today, and you have the chance to win one of them at the bottom of the post! 2. Espadrille Wedges // Come to think of it, I don't know if I have a pair of wedges in my wardrobe that I really love right now! I think wedges are a perfect summery way to complete an outfit for dinner, and a fun brunch or event with friends or family. I am a huge fan of this pair in particular... I love espadrilles and I think the wedge espadrilles are so cute. I might just have to snag them at under $100. 3. 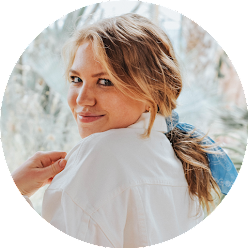 Palm Beach Sandals // I know most of you reading are huge fans of Jack Rogers, and I was too up until this fall when my tried and true silver Jack's broke at the toe and I had to toss them out. To be fair, I had bought those sandals in eighth grade (five years ago!) and it was definitely past their time... But, when Palm Beach Sandals reached out to me about their identical sandals, I was intrigued! I have been wearing around my sandals for a few weeks now and I am happy to claim that they are amazing quality, and their styles are just as fabulous. ...and one lucky winner can win her choice of a pair of Palm Beach Sandals by entering the giveaway running from today up until the end of next Tuesday, May 30. (Shop all of Palm Beach Sandals right here) Use the widget below to enter, and check out my Instagram post going up this afternoon for an extra entry! Good luck! 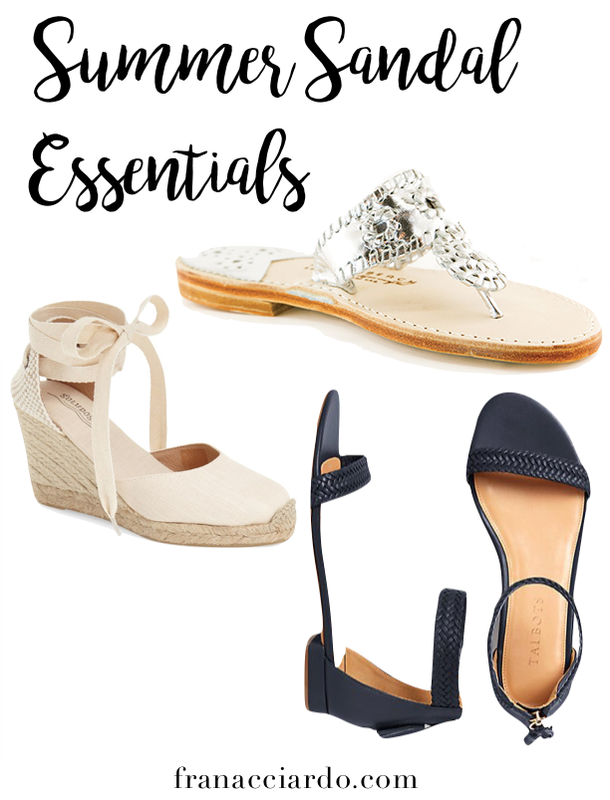 What are your summer sandal essentials? I think I'd snag the classic black/ black patent! I'd love the ocean avenue cork sandals or the college colors in orange and white!! I love the classic navy and white one! I would purchase the classic navy and white sandal! I can't believe how similar these are to Jack Rogers! They look really comfortable. If I had to purchase a pair, I would pick the Classic Linaria / White. I love the hot pink, and it would be such a fun color for summer! Such a great giveaway! I love all the sandals! But, if I had to choose I would pick the navy and white sandals. What an exciting giveaway! I love my Jack's but wow super impressed that the Palm Beach sandals are completely identical! I need a pair!!! I would choose a pair of Palm Beach sandals with color to spice up a summer outfit! I live in my soludos during the summer! These wedges are too cute! I have missed sandal weather oh so much! Excited for warmer temps and cuter shoes! The Palm Beach sandals are super cute! I would choose the Mid Wedge Cork / Gold. I'd get the classic white sandals! I would get the classic white sandals! I would get the classic black sandals! I love all things nautical so I would do navy with white trim, they would be perfect for the whole summer but also look especially great for Memorial Day and the 4th! I like the mid wedge in black/black patent! I like the Ocean Ave in the Gunmetal Silver color. Very cute. I personally would love to own the Classic white/white sandals! I would love a pair of white sandals! I would choose the platinum sandals! I love that platinum can match both silver and gold accessories. I would choose the Hibiscus Cork / Gold. I love the classic silver sandals! Perfect for my upcoming vacation! Love the Aubrey cork & Classic Burlap Sand! I would get the classic black because black goes with everything! I'd pick the Ocean Ave Black Patent! i would get the ocean ave! so cute!!!! I love the gold sandals! My favorite pair is the Burlap Sand / Gold. I love the leather ankle strap pair! I love the Palm Beach Sandals in silver. Ii might choose the leather ankle strap - they are real cute. I would have to choose the Classic Gunmetal / Silver PB Sandals. I like the classic burlap sand! I love Palm Beach sandals!!! I love the classic navy or gold pairs. I liked these essentials that are pretty and will help us to have something good in this summer season.